Since the Foundry might see some love for Season 6, perhaps this site could help by creating a few master lists of things that need attention, like bugs, etc. There are not bugs per say, but they are things that seem dumb. This includes assets that require counterparts that don’t exist. Example: There is a platform for a Captain’s chair, but no Captain’s chair in the Foundry. That doesn’t make sense, does it? Well, maybe if you’re making a mission to find the stolen chair, and never actually find one. Or, these could include things that seem pointless or difficult to use. So, here goes. I’ll start a list. Please add to it with every example that you can think of. Hopefully, if the devs devote some attention to this stuff, then they could use our master list. 1. (as mentioned) We have a platform for a captain’s chair but no captains’ chairs. 2. The rock platform meant to fit in the middle of other rock platforms doesn’t look right. 3. 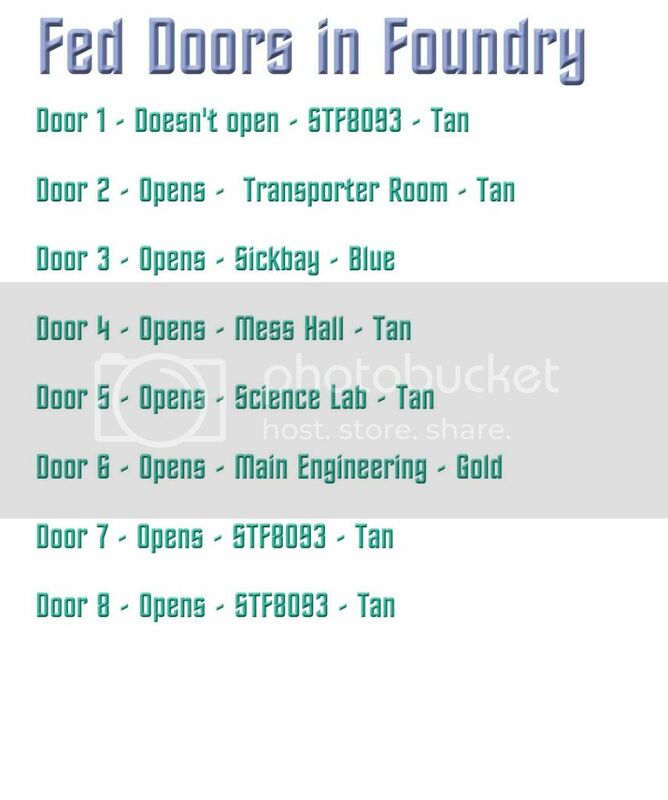 We have like 9 federation door walls (only 1 opens) and only like 3 fed-style walls. Plus, no floors or ceilings. 4. We have some rock-like walls, but no way to fit them together to make tunnels. Putting them together results in texture overlap. Also, no cave floors or ceilings, apart from cave maps, where the rock walls don’t fit to the ceiling. 5. Tons of ceiling props. No ceilings. 6. Sickbay props. No Sickbays. 7. Tons of crates. Interiors are already full of crates that can’t be deleted, moved, or erased. 8. We have brigs and jails with forcefields in place already. We should have separate forcefield doors, so that brigs can be opened and closed. 10. Our ESD map is the old ESD. OK, I’m sure that we can grow this list very quickly, if we all work together to create it. Please leave a comment with your examples of assets that “don’t make sense,” and I’ll add it to the list. Thanks PFDennis, I appreciate the correction and help. Only two Window assets, which are oddly shaped making them very hard to use. lack of usable lighting besides “fire light” which only works on ground maps. No way to control ambient sounds on ground or interior maps (yet we can do this in space) leaving us stuck with alarms ringing and other annoyances. Having to use an asset the size of a barn just to place a working door. thanks number, these are great ones to add. I remember once how frustrated I got with the windows, especially when it’s curved and there is no shape to fit it to.